1. Information may be collected from Clients and Users of the Site in various ways. We receive and collect the name of the domain and host from which you access the Internet; the Internet protocol (IP) address of the computer used; the browser software used and the operating system; the date and time of access to our site; and the Internet address of the web site from which you linked directly to our site. We use this information to monitor the usage of our site, exclusively for internal and support purposes. If you wish to disable cookies, you may do so through your individual browser options. More detailed information about cookie management with specific web browsers can be found at the browsers' respective websites. You may also click here to deactivate certain third-party cookies. 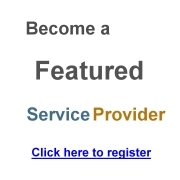 When you are a registered member or subscribe to any or all of the products or services that can be accessed at the Site, or when you send a form requesting a product trial, you must provide information identifying you as customer. We use this personal customer information for internal administrative purposes, for generating statistics for marketing purposes, and for mailing information on related products. All personal information stored on our systems is secured against unauthorised access. Personal customer information is used for internal administrative purposes, such as bookkeeping, and for generating statistics used by marketing and internal business administration. Occasionally, Morgan Hedge uses personal customer information to market products and services. We do not provide this information to third parties. Subcontractors We send personal customer information to third-party subcontractors and agents that work on our behalf to provide certain services. These third parties do not have the right to use the personal customer information beyond what is necessary to assist us. They are contractually obligated to maintain the confidentiality and security of the personal customer information and are restricted from using such information in any way not expressly authorized by Morgan Hedge. Emails related to your membership or the purchase of our services. 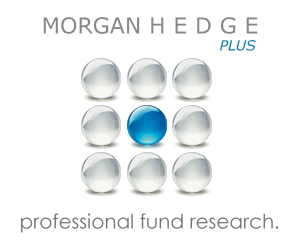 Communications containing information about any of the sites referred to under the term Site, or about Morgan Hedge and its partners, products and services. Relevant emails and information if you choose to subscribe to any of the available services offered at the Site (if applicable). For corrections to personal customer information, or for having personal customer information removed from our systems, please send us an email. Please note that it is not possible to have personal customer information removed as long as you are subscribing to any of the products or services accessible through the Site due to the administrative necessity of keeping customer contact information. In order to have personal customer information removed, you must first consent to terminate the subscription. When you click on links and banners on our site that take you to third-party web sites, you will be subject to the third parties' privacy policies. While we support the protection of privacy on the Internet, Morgan Hedge cannot be responsible for the actions of any third-party web sites. We encourage you to read the posted privacy statement of any and every site you visit, whether you are linking from our site or browsing on your own.